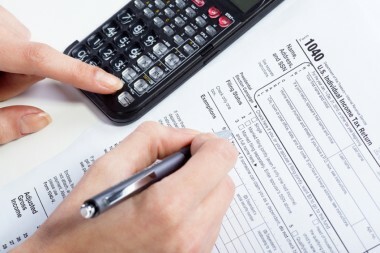 Effective business tax preparation also involves expert tax planning. With strategic planning and advice, your business gains a competitive advantage. Forbush and Associates is a full service tax practice delivering innovate tax planning strategies that create bottom line value. You benefit from value-added consulting focused on aligning your transactions with the most advantageous financial and tax reporting situation. We encourage an open and ongoing dialogue with us year-round to discuss your goals, challenges and transactions. We develop such close relationships because it allows us to take full advantage of all opportunities in the tax code. Our open dialogue also helps us better strategize and structure your transactions before they happen. This lets you realize the most tax benefits possible. By remaining proactive, we make sure you avoid the heartache and tax consequences many businesses suffer. What’s more, your financial reporting becomes easier and streamlined. Year-round, we monitor tax law changes, industry credits, and deductions. We situate you to receive the best tax advantages at all times. No one likes surprises on their tax bill. That’s why we try to avoid surprises by communicating with you throughout the year, so you and your shareholders remain aware of your forecasted future tax impact. And we promise to continuously provide tax reduction strategies for implementation prior to December 31st.